Brown v. Board of Education is the case that desegregated schools in America and overturned the doctrine of “separate but equal” that enabled segregation in the United States. 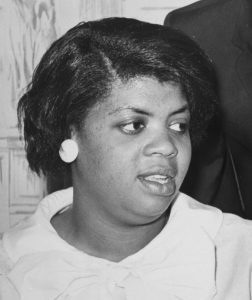 The third grader at the center of the case, Linda Brown, died this week at the age of 76. Linda just wanted a closer school and a safer commute, one that didn’t involve crossing a dangerous street and railroad tracks just to get to her bus. But the school five minutes from her home was all white and Linda was African American. And in Topeka, Kansas in the 1950s, like in much of the country, schools were segregated. Linda’s parents objected and their case became a class action lawsuit that eventually went all the way to the Supreme Court. 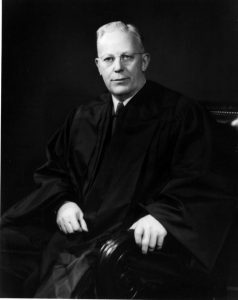 In a unanimous opinion written by Chief Justice Earl Warren, the Court ruled in favor of Brown, writing that segregation and the doctrine of “separate but equal” were inherently unequal and thus violated the Equal Protection Clause of the 14th Amendment. Learn more about the fight to end segregation in schools in our film An Independent Judiciary. Brown has gone down as one of the most important opinions in the history of the Supreme Court. However, that hasn’t meant that school segregation has ended in America — in fact, recent evidence suggests that the problem is getting worse, not better. Read the decision in Brown v. Board of Education at the National Archives and learn more about the case in our film, An Independent Judiciary. Celebrate the anniversary of the ratification of the 14th Amendment by watching our film Yick Wo and the Equal Protection Clause. Yick Wo was a Chinese immigrant who ran a laundry service in San Francisco in the 19th century. He took his case against the city’s discriminatory licensing laws all the way to the Supreme Court, and in the process changed American constitutional history. For the first time, the Supreme Court defined the 14th Amendment’s Equal Protection Clause, and established that the amendment granted equal protection to all persons, not just citizens of the United States. Since Yick Wo was decided in 1886, it has been cited over 160 times by the Supreme Court.